After our fresh blueberry picking experience, we had quite a few blueberries to make use of. I set about looking for a muffin recipe that I could make with the ingredients we had on hand. I found this one from Taste of Home that I was able to adapt to the ingredients we had at home. 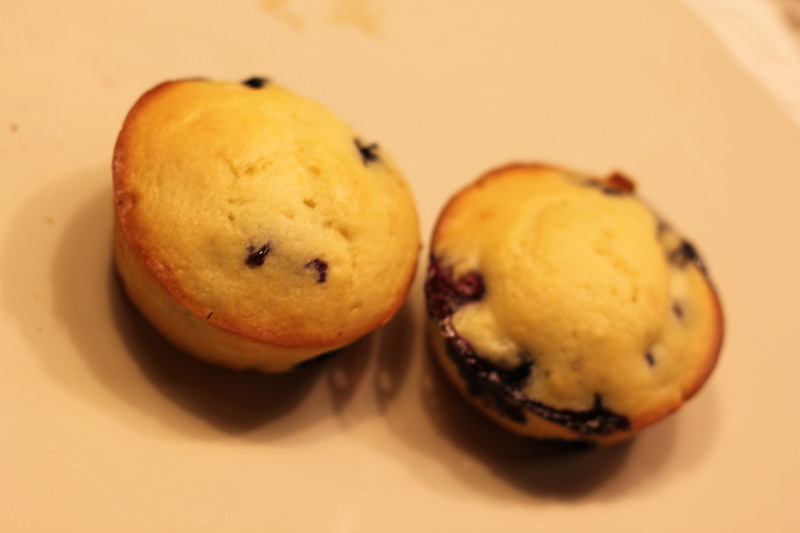 Yogurt in muffins? It seemed to give them a little creamier taste without adding all the butter! Combine flour, sugar, salt, baking powder, and baking soda. In a separate bowl, combine egg, yogurt, oil, and milk. Add the dry ingredients to the "wet" ingredients bowl. Bake at 350 degrees for around 20 minutes.